You discovered Debbi-Jo Matias because of a colleague that you trust. They referred you to an experienced chartered professional accountant that they trust. Debbi-Jo is retained as an accountant by business owners and entrepreneurs for income tax and accounting services. With over 25 years of experience, she is devoted to her clients and delivers exceptional service, quality and results. Debbi-Jo has established long-term client relationships by being accessible and providing proactive and practical advice. As a business owner herself, Debbi-Jo solves problems and provides support to her clients. She helps producers claim the tax credits they need to turn ideas into big-screen blockbusters. She helps individuals build a financial legacy and wealth for their families. 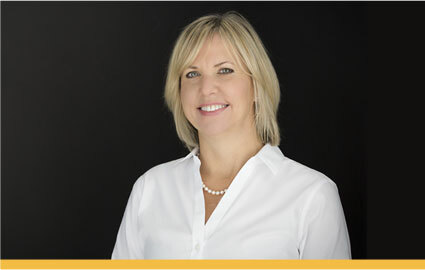 Debbi-Jo Matias is a Chartered Professional Accountant with extensive experience advising both large and small business clients at Deloitte and Touche LLP, Fuller Landau LLP and Ernst and Young LLP in Vancouver, Victoria, Johannesburg, New York and Toronto before launching her own firm in 2010. She qualified as a Chartered Accountant in 1994 and earned a Bachelor of Commerce (Honours) in Accounting & Small Business from the University of Manitoba. Debbi-Jo has partnerships and convenient referral relationships with a full range of complementary financial service specialists: tax and commercial lawyers, cross-border tax experts, business affairs consultants for film, production accountants, bookkeepers and financial planners. Debbi-Jo regularly presents to business owners on tax planning and film producers on tax credits. She is in demand as a volunteer board member for charitable and political organizations. National media outlets seek her expert advice on business tax strategies and financial preparation for retirement. Run your business without running yourself into the ground. Take care of your assets. Take care of your family. Do film financing and tax credits without the drama. “Debbi-Jo Matias is a fountain of information and contacts to us as her client. latest in film and television regulations, including CRA interpretations. Debbi-Jo is fair, transparent and consistent with her fees. Before you engage Debbi-Jo, she will inform you what she expects your fee to be based on the amount of work required.